Selecting content for the Annual is great fun, but also very difficult as Landscape Photography Magazine readers and contributors send us so many superb images and features throughout the year. Even starting to shortlist content from the past 12 issues is no easy task. So, for 2019, we decided to display the top images from the Galleria and Wall of Fame sections, as well as some of the best short reader articles. Many of the longer, featured articles we have published received great responses from readers and followers and we have tried to include as many of these in the Annual as possible. 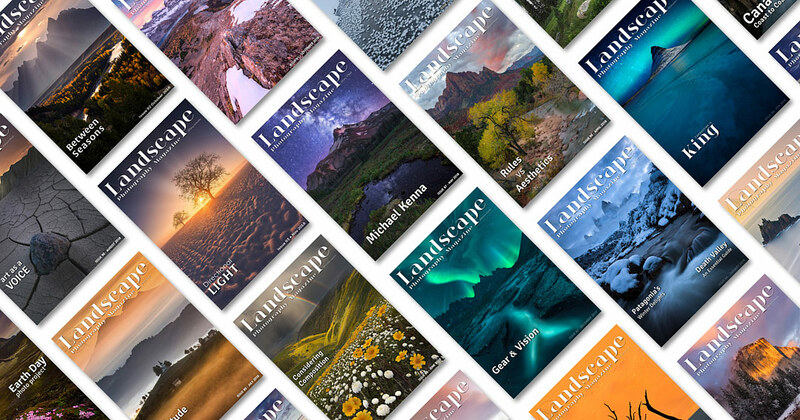 If you have downloaded Landscape Photography Magazine here for the first time, we hope you enjoy the read and will consider joining us for more exclusive content every month. If you have read the articles before in the LPM monthly magazine, perhaps revisiting them will throw up a new perspective or idea, or just give you the perfect reason to put your feet up with a coffee, tea, beer or wine for a couple of hours. Finally, a big thank you to our growing army of readers, subscribers and followers who continue to make LPM the most successful and talked-about landscape photography magazine in the world. So, as we roll up our sleeves to start work on the next 12 issues, we very much hope you will stay with us and enjoy the journey. This is a one-off payment policy. Your card will be charged £6 or €7 or $8, depending on the currency you choose below.